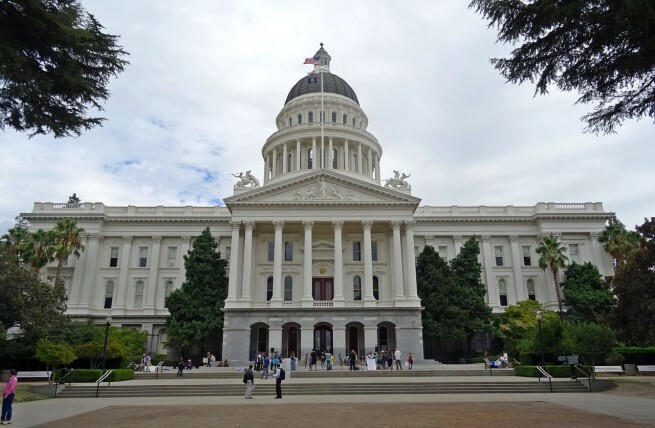 Charter a private flight to Sacramento, the capital of California and a premier destination for private business and government travel. Whether flying privately into (SMF) Sacramento International Airport to spend a day enjoying the beautiful nature trails in the area or to conduct business in and around the capital, we can help arrange the right aircraft and flight itinerary that best suit your needs. San Francisco Jet Charter believes in providing private flyers with a one-on-one consultative service experience that exceeds every expectation. We understand that your time, privacy, flight preferences and most of all, safety, are all extremely important. Our Sacramento Jet Charter representatives are available for you by phone and email 24 hours a day, 7 days a week. When using our private aviation service, you can expect quick response times and an easy, hassle-free booking process. Request a quote or call us to arrange your private flight to Sacramento, California. Sacramento is the capital of California and has a residential feel while maintaining a population of just under a half-million people. You could spend a whole week and not see all that the downtown area has to offer. On top of the various cuisines, interesting bars, and boutique shops in the downtown, the rest of the city is charming and offers many diversions. All of these attractions make one can imagine that hotels abound, and they do. Stay in luxury at the Citizen Hotel, Le Rivage Hotel, or the Sheraton Grand; the amenities offered are impeccable. So book your private chartered flight to Sacramento, California now and enjoy the many luxury options available to private jet travelers in this bustling city. While you’re at it, check out our list of the best hotels in the area. Offering even more than you would expect from a major hub city, Sacramento has a wonderfully robust and diverse nightlife that puts ultra-posh and trendy nightclubs on the same street as “oh geez walk faster, honey” dive bars. Combine this with a veritable fleet of artisan and specialty eateries, a thriving student population, and residential areas all across the economic spectrum and you get a recipe for a great time. 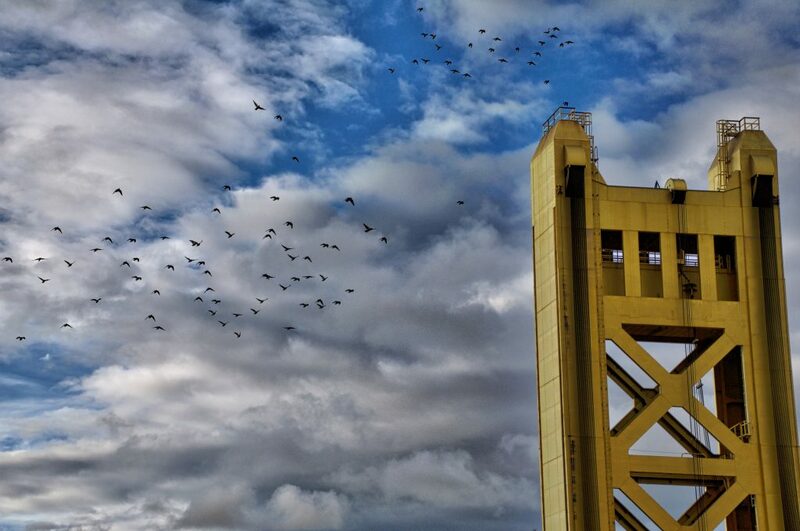 Before your night on the town, treat yourself to Sacramento’s popular historic district. In contrast to the hustle-bustle of downtown, Old Sacramento is quaint, charming, and has a very laid back atmosphere. Spend an hour or two eating lunch in a 19th century building, or check out one of the numerous historic museums that litter the district; locals will tell you that the California State Railroad Museum is a “must see” for the family. For all the out-doors lovers, the area has lots of music events in the park, river rafting, and the American River Bike Trail. Check out the following list of city’s top attractions and pick out which things suit you the best. Located in Yolo County, Davis is a primarily residential town well-known for its farming and agricultural division of The University of California. Since its beginnings as a Southern Pacific Railroad depot, Davis has focused primarily on agriculture and animal care, with some of the most renowned husbandry specialists and veterinarians in the state. Despite the valleys that lie around Davis, the terrain is remarkably flat, making it a haven for local bicyclists. Book your private charter flight to land at one of two local airports in Yolo County – (EDU) University Airport is owned by the University of California and operated by the Davis’ Transportation and Parking Services division. Out of 10 state-wide campuses, Davis is the only location with its own airport. If you’re planning on a college campus tour, book a private jet and include your top choices in your flight itinerary! If you’re all “You Only Land Once!” and would rather it be at (DWA) Yolo County Airport, it’s also available for private charter flights, and offers the most convenient landing right outside of Davis proper. Be advised that you may want to dress light during the majority of the year, as Davis frequently reaches temperatures of up to 116 degrees Fahrenheit. Request a quote to book your private jet to Davis, California. A majority of Lincoln’s population growth originally came from the stalling of the California Central Railroad in the mid 1850’s. Work was temporarily halted after the Lincoln stop creating a small economic boom until production continued. The town remained dormant until the 1990s, when another population wave due to the overflow of Sacramentans rushed through the valley, when in 2007, Lincoln was named the fastest growing California city. Lincoln has nearly tripled in size over the past decade and shows no signs of slowing down, and with several airports close to the city, your best option is (LHM) Lincoln Regional Airport. After landing take some time to check out the local attractions. Thunder Valley Casino is know all over California, and Wise Villa Winery prepares absolutely astounding custom tasting sessions. Lincoln is also home to the Gladding McBean Pottery Plant, and is a worthy detour for fans of artisan pottery. Purchasing a delicate piece to bring back home is much more convenient when you book a private jet. Imagine packing the hand-crafted ornamental sculpture you just commissioned into checked commercial luggage. Yeah, we’re not fans of unintentional 3D puzzles, either. Chartering a private jet allows you to keep an eye on your most precious cargo – and pack a lot more of it. Book your private flight to Lincoln with our private jet charter team. Woodland is the county seat of Yolo County, located in the middle of the California’s Central Valley about 15 miles northwest of Sacramento. Having started as a plot of land owned by one man, Woodland has come a long way thanks to irrigation efforts in the area that created very fertile soil and led to an economy heavily based on agriculture. Together with the addition of Interstate 5 to the area, transportation is another major industry within Woodland. When booking your private flight to Woodland, consider flying into (O41) Watts-Woodland Airport as it is the closest and most convenient. While you’re in Woodland be sure to check out the Woodland Opera House; built back in 1885, the history contained in this building is palpable as you enjoy a show. The Yolo County Fair also takes place here every August, an event drawing people from all around Northern California since 1935. San Francisco Jet Charter utilizes the following airport to fly clients privately to/from Sacramento, California and neighboring areas. Request a Quote or give us a call at 1-888-987-5387 to speak with one of our Sacramento Private Jet Charter agents for your next luxury vacation, business trip, or special event.